Nov. 11, 1923, at the Shawnee/Douglas County line on the new cross-continental "Victory Highway," later designated as US-40 highway. 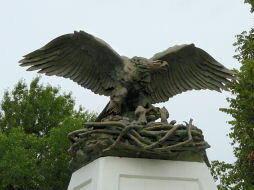 It stood more recently at the northeast corner of Gage Park, near the arched entrance to the park. 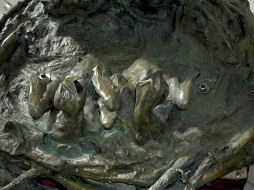 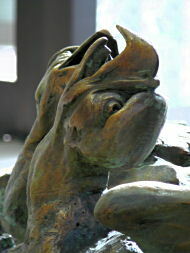 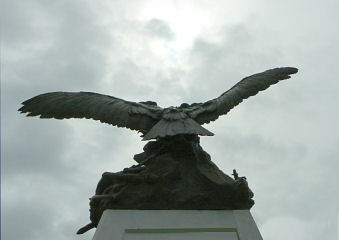 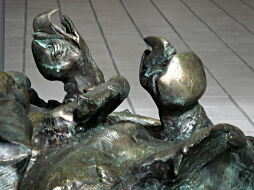 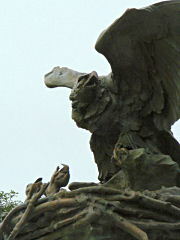 The sculpture was removed for restoration, Nov. 2006. 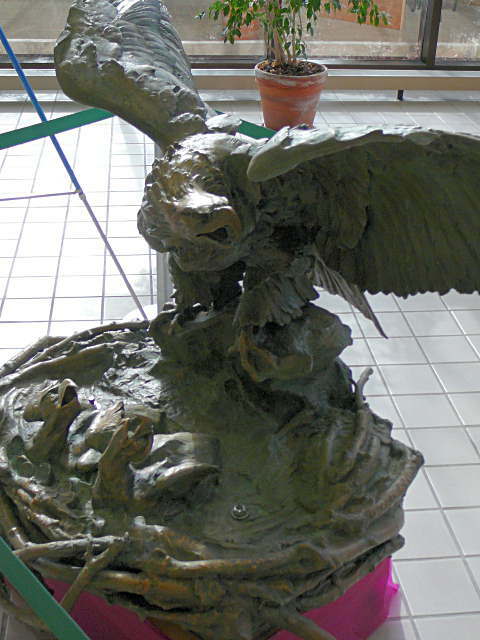 A detailed look at the sculpture, for the first time in decades seen from above, was available to the curious while the renovated sculpture was stored at the Cyrus K. Holiday city building while waiting for its spring move back to Gage Park. 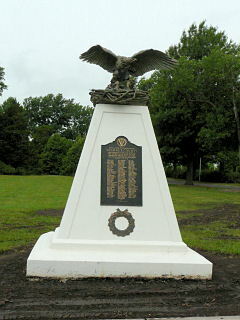 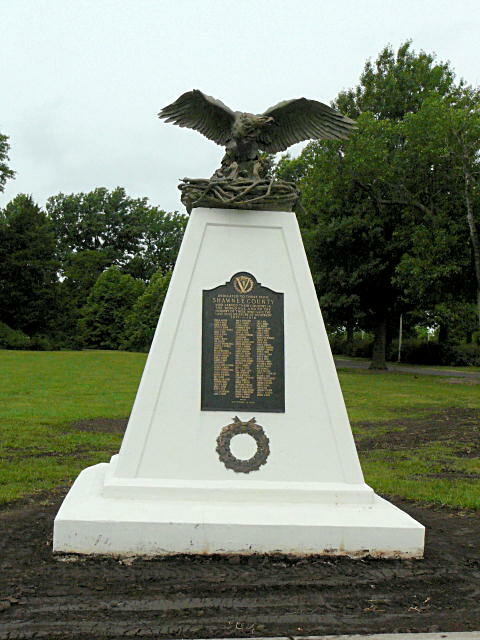 Sculpture and pedestal are now grouped with other veteran memorials at the southeast corner of Gage Park. 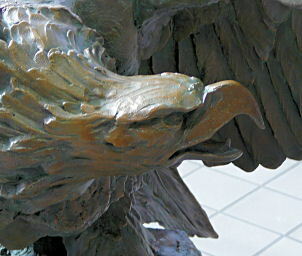 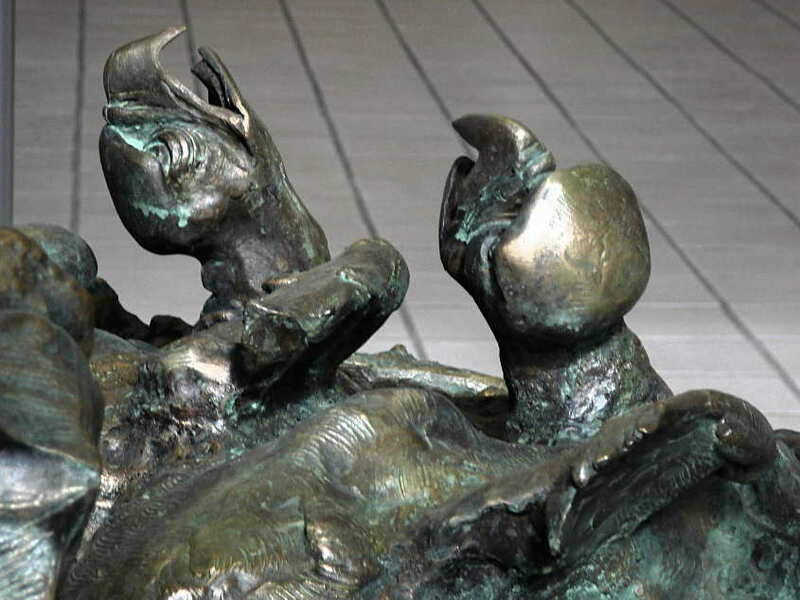 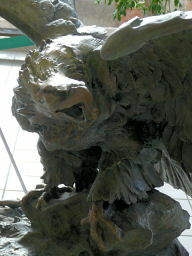 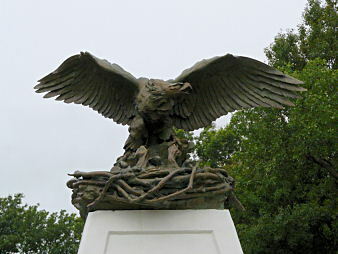 These eagle sculptures could once be found all along the highway. Read about U.S. Highway 40, the "Victory Highway"